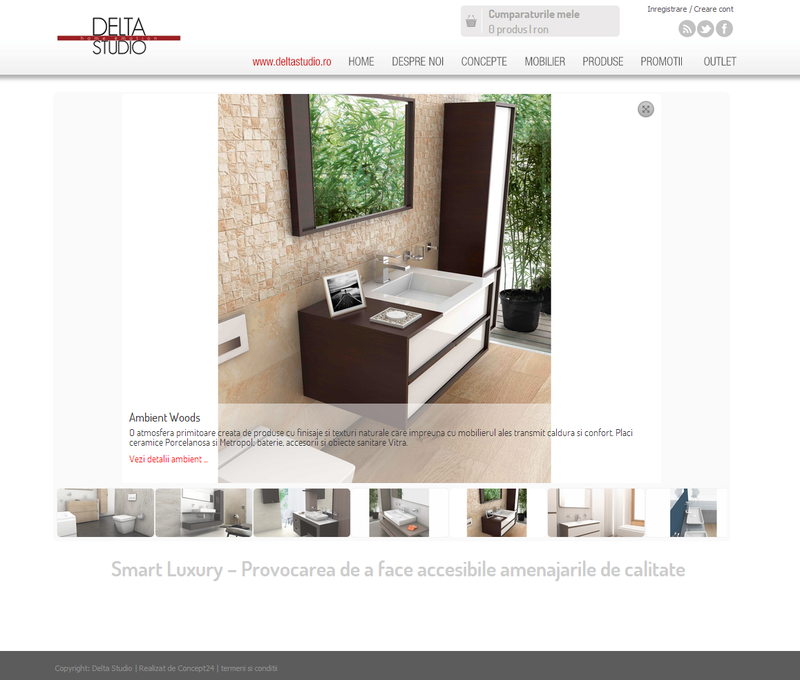 Delta Studio is a company having an experience of almost 20 years in interior design, providing products for all interior spaces (bathroom, kitchen, living). 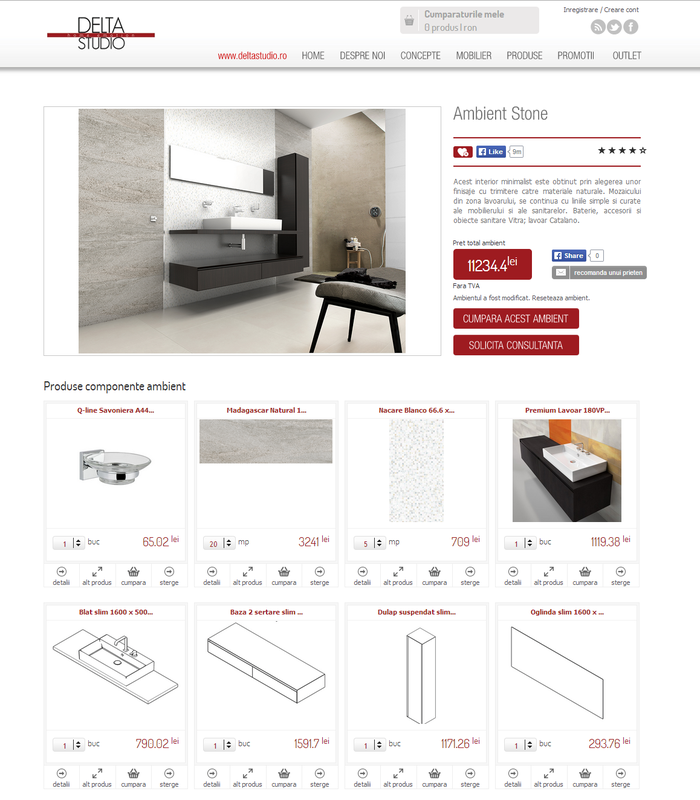 They have an offer of high quality products for medium and high class interior design solution. 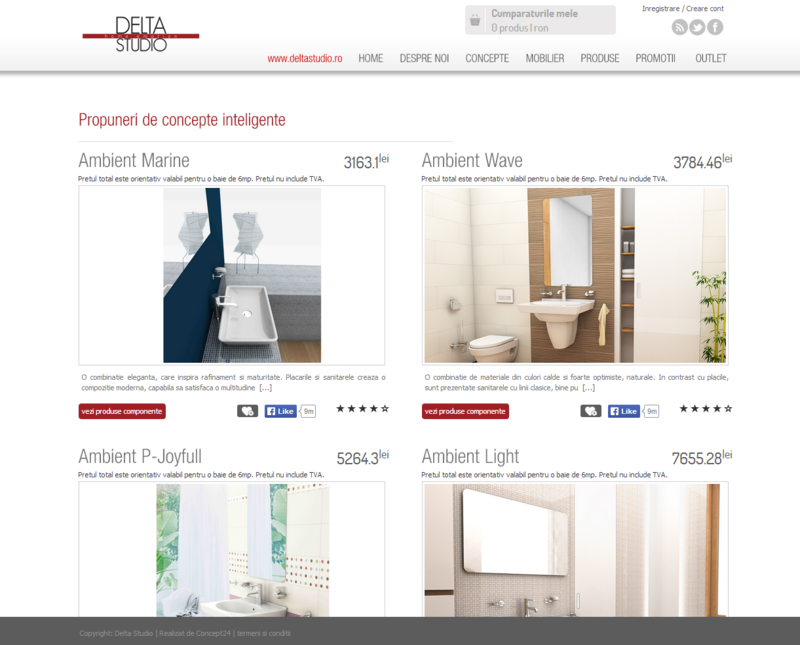 Delta Bathroom is an online product catalog which provides its visitors the option of ordering products for their bathroom. 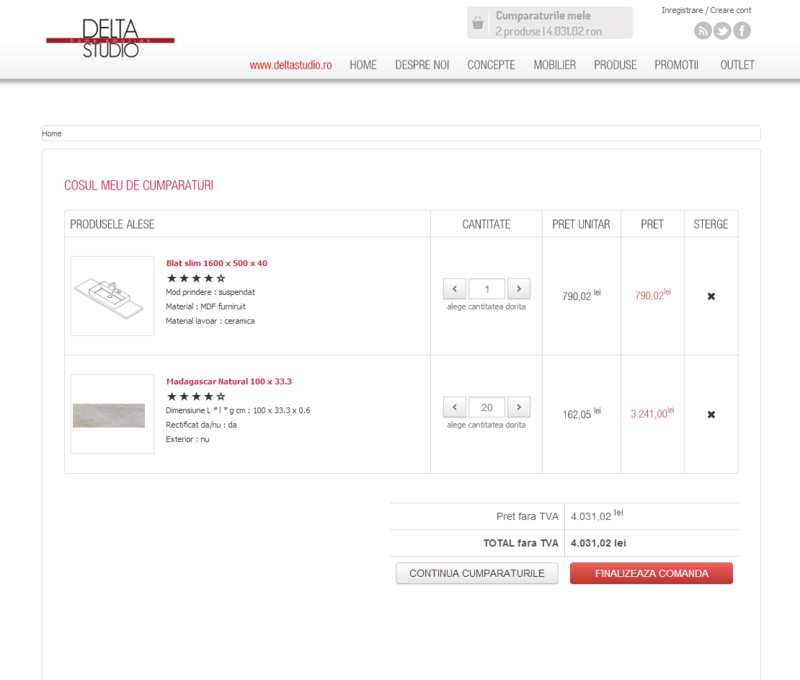 The innovation of this project is that users can order at once the entire solution proposed by Delta Studio. 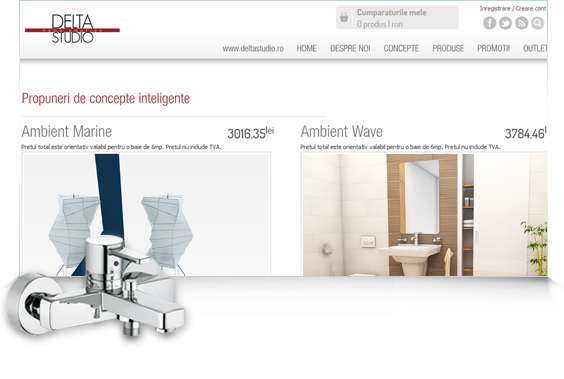 They can even remove or add other products to the solution they consider suitable. 2019 © Concept24. ALL Rights Reserved.